Regular readers will be aware that I am somewhat of a fan of Mr Boffard’s work. 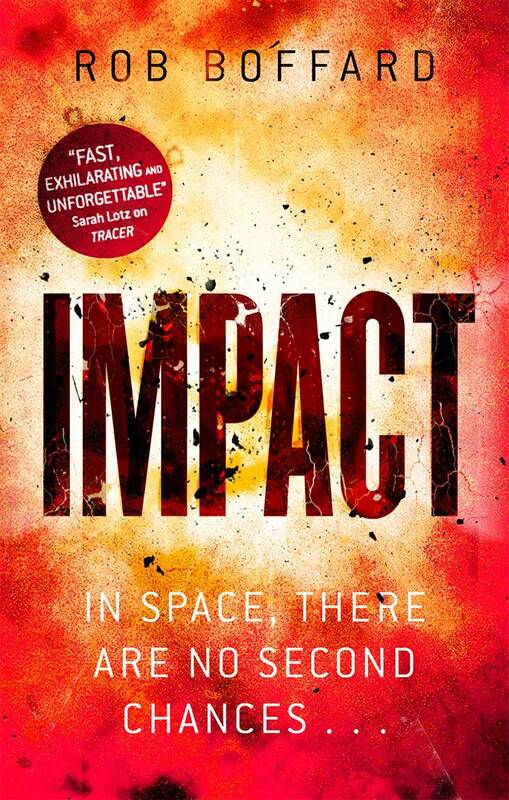 Tracer was fantastic and made my books of the year list for 2015, Zero-G upped the ante, and now we have Impact, book #3 in the Outer Earth trilogy. The question was, having turned the action up to 11 for Zero-G, could Rob find a new setting on the dial for the finale? Well, yeah, he knocked it out of the park. Impact is an interesting change of setting from the first two as we find Riley and chums down on earth. The action still comes thick and fast, and the stakes are cranked up to the max. Facing new dangers, she has to put her tracer skills to full use just to survive. You can find Rob on Twitter @RobBoffard, his website, and last but definitely not least, on YouTube doing epic rap book reviews. and launching a book into space to be the first author reading in space. SPACE!